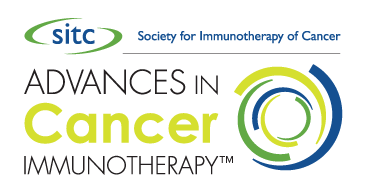 As a component of the Society for Immunotherapy of Cancer's (SITC) regional, live Advances in Cancer Immunotherapy™ (ACI) programs, SITC is pleased to offer free online, introductory, CME-, CPE- and CNE-certified programs via the society's online learning portal, SITC Cancer Immunotherapy connectED.These online activities provide an overview of basic immunology principles and the mechanisms and clinical applications of immunotherapy. If you missed the opportunity to attend an Advances in Cancer Immunotherapy™ event, you can still obtain the education and CME, CPE and/or CNE credits through the Advances in Cancer Immunotherapy™ 2017 Video Series online modules. Exemplar video presentations from the live ACI programs are used as content for the online, CE-certified classes. Click here to access this class to begin your online learning today! There are two distinct online offerings for attendees to learn and connect to program attendees and other registrants virtually. In 2017, SITC hosted one live webinar for online registrants to virtually attend a complete, six-hour ACI program. This webinar took place during the Aug. 12, 2017 ACI program in Milwaukee. As a new feature for the 2017 ACI series as a whole, SITC launched the post-program webinar series, which includes two exclusive follow-up webinars for individuals who attend the live ACI programs (as well as those who virtually attended the Aug. 12, 2017 ACI). These webinars allow program organizers the ability to check in with attendees regarding the successes or hurdles being experienced in implementing certain practices learned during the live ACI event post-program. The webinars will take place at one and three months post-program. For a complete listing of upcoming scheduled webinars, see the calendar of events below. Aduro Biotech, Inc., Amgen, AstraZeneca Pharmaceuticals LP, Bristol-Myers Squibb, Merck & Co., Inc. and Prometheus Laboratories Inc.
Association of Community Cancer Centers.